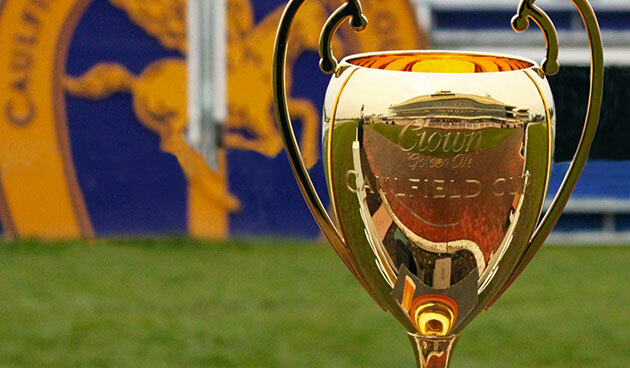 Back by popular demand: every Spring we get Luke Murrell's Cups preview and each time he calls it exactly as he sees it. Luke Murrell of Australian Bloodstock is one of Australia’s foremost form students, with an unmatched knowledge of horses across Australia, Europe and Asia. Each year we call on him to give us his thoughts on each runner in the Cups, as his knowledge across many different jurisdictions means he’s uniquely placed to assess the chances of all the imports and locals. He’s been good enough to run through the Caulfield Cup field with us again, despite having one of his worst weeks as an owner: Australian Bloodstock owns Admire Deus, who was the Caulfield Cup favourite before breaking down with serious injury in work this week. It’s fair to say Luke and his team were extremely confident about Admire Deus’ chances on Saturday, with the glowing reports from trainer Darren Weir and would-be jockey Craig Williams showing that confidence certainly wasn’t misplaced. Thankfully for us, Luke’s meticulous research means he’s able to share his knowledge on every Caulfield Cup runner in order to help you find a winner. Murrell says: This race has dropped away so much this year that he’s just got to be a chance. He’s an interesting horse, he always likes to race on the speed, but he’s actually quite a slow horse out of the gates. So they might ride him closer than he’s ever been – outside his comfort zone. The map’s a bit tricky and he could actually be four or five-wide the trip. That’s my only real pot on him. But if he jumps well, he could be whacking away there in a race that I don’t have a lot of speed in. Murrell says: I just can’t believe he’s favourite! I know he’s got the Aidan O’Brien factor, but traditionally he settles worse than midfield and he’s a massive doubt at the distance. I do love any horse that’s having a seven-day back-up going into a 2400m race… and he’s had that back-up once or twice before and done okay. But his form overseas is no better than this race, it’s just okay. I can see him missing the first four, but it wouldn’t surprise me that much to see him coming home late and being an eye-catcher, just because of the lack of depth in the race, but I couldn’t have him as the winner. Murrell says: I love his name! But his career-best rating is still going to be four lengths off this mob. He gets ticks in that he’s on the speed, and Murray (Baker) is a freak… the seven-day back-up is another positive. But he’s just overrated and I think he’s got to improve at least three, if not five lengths to be a top two chance… so I can’t have him. Murrell says: He could cut through the infield and not win! Good luck to him – he’s a Group One winner and has been a terrific horse, but he’s got the worst last start in the race and just doesn’t seem to be going for the last six or twelve months. He won his Group One with the most amazing ride. He can’t win. Murrell says: We don’t have pacemakers in Australian racing, but he’ll obviously be the leader and he’s there for a reason. Funny thing is, on his European form, he could win this race. But he’s going poorly since he’s been in Australia that you couldn’t have him. But it’s not a race of much speed and Katelyn is a great front-running rider, but surely not on recent form. Murrell says: He’s one I wanted to find, but I went back through his whole career and I think he’s probably three lengths off what will be needed to win the race. He’s very dour and one-paced, he could probably run 5000 metres. He’ll be up on the speed, but I think this is a bridge too far for him. I think he’ll be up on the speed and get swamped, and maybe run fourth or fifth, and they’ll be talking him up as a Melbourne Cup horse. But I don’t think he’s good enough. Murrell says: This horse has got the very best rating in the race and is trained by the Bart Cummings equivalent over there in Willie Mullins, who’s a bit of a character and a bit of a freak. I still can’t get Frankie’s (Dettori) ride in the Melbourne Cup out of my mind, when he drew 24 and was ten-wide like a cowboy. He probably only has two improve a length or two on his last start to win. The biggest pot you have to have on him is he’s has one shot at 2400m and got beaten 14 lengths to a horse that’s pretty common (Dartmouth). This looks like a barrier trial for the Melbourne Cup. If they go back that’s definitely what it is, but if they go forward I think he could just out-plug them. So I’d be throwing him in, but just very mindful that the 2400m might be a bit sharp for him. Murrell says: He’s popped up for a lot of the weekend punters but again, his career-best racing is about four lengths off what’s needed here. I know visually he’s been very good, but there’s no substance to him whatsoever and I think he’s making up more of the market than he should be. Murrell says: I love every horse that tries and she’s a ripper. She’s knee-high to a grasshopper and her best is nowhere near good enough. She’ll be on the speed but she doesn’t even look the same horse this prep. Murrell says: Murray thinks she’s sound so I reckon they should be letting her run. They seem to think she loves a firm track but she’s bred to love a wet track. She’s probably got the third-best rating in race, but my problem with her is she settles way out the back and with not a lot of speed around Caulfield, I just worry how far she gets back. People are potting her for her last run but there was no speed in that race, and she did have one of the best mid-race squeezes in her race so I think she definitely tried. She didn’t look good visually but there was something there. Again, I love the seven-day back-up. If she’s right I reckon she could run top four, but it’s just that map that worries me. Murrell says: Shocking last start and wouldn’t have won a midweek in Adelaide. No hope. Murrell says: I thought he was huge the other day. All the leaders just compounded and there was Boom Time whacking away and he was the only one that hung on. The three that beat him home settled last. His career-best run is probably two lengths of what’s going to be needed here, but at 100-1 I’ll definitely be putting him in for third and fourth and a wide first four. He puts some great value into it. Murrell says: Needs a wet track and even then she’s still not good enough. I don’t like Redoute’s Choice at 2400m or further. The seven-day back-up is probably her only tick. Murrell says: He’d be on top for mine. Two starts ago he had a career-best rating and if he runs up to that, it’s probably two lengths better than what he’ll need to do here. He started very hard in the market in the Winx race and I thought was really common, but the start before was such a tough run that I’m willing to forgive him. Interesting that he gets blinkers, a really soft draw, and Chad Schofield who is riding really well. You know if he’s a chance Chad will knock ‘em down to get out. I reckon the $12 is a great play because if he’s anywhere near that run two starts ago, which was at Caulfield, he wins. And he’s a horse that I don’t generally like. But in this race he looks really good. Murrell says: She’s always been one of my favourites, but her career best is not good enough here. I can’t believe she’s so short in the market. She should be $26 I think. I know she won last start and beat Almandin, but I don’t think he’s done anything this prep at all despite how impressive he was first-up. Just too short for mine. Murrell says: I reckon he’s the other one that you have to include. Last start was a career-best run, he gets a seven-day back-up, and the jockey’s a rising superstar who’ll be one of the top few in four or five years. They’ve just gotta get in and get him some cover before the bend and if so, he’ll be a top three chance for sure. I have Harlem and Lord Fandango as the two main chances. You don’t know what to expect with Marmelo and Wicklow Brave… I’ll be watching Wicklow Brave and if they go forward, I’ll be backing him in the run I think. He’s too classy if he actually goes forward and gives them some curry, but I suggest they’ll just use it as a good hit-out.